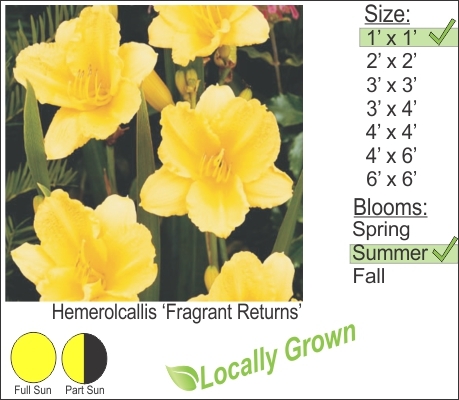 A hardy fast growing perennial, Day lily will give you an abundance of colorful flowers from late spring through summer. Plat near the foundation of your home. Yellow or gold flowering Day lily mix well with purple blooming perennials like Russian Sage. The purples and yellow/golds paly well with each other.